Car Park, New Covent Garden, by tubb. 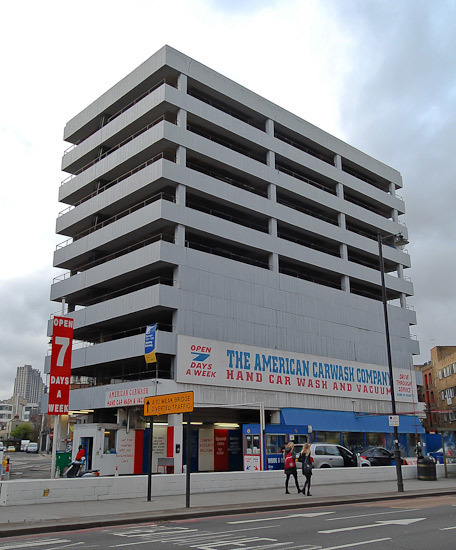 "The true temples of the automobile age" was how JG Ballard described the car park. And despite London's dwindling love affair with the motor, the capital is blessed with many examples of the car park architect's art. 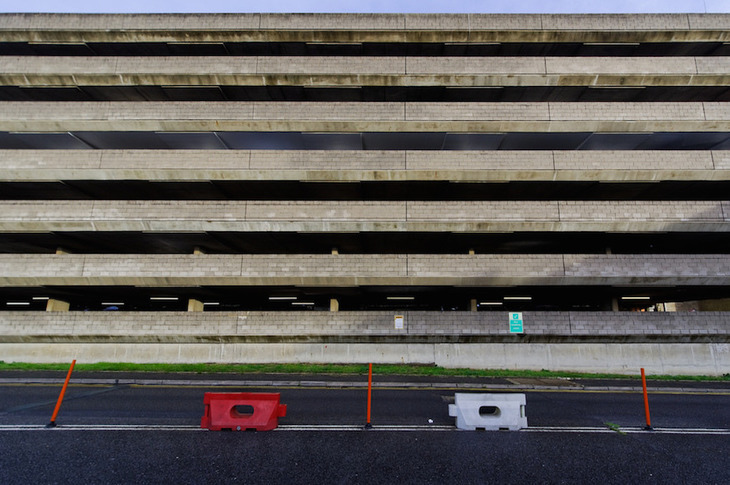 Here's a list of car parks chosen for their architectural merit, their history or their innovative re-purposing — but seldom for their utility as a place to moor your motor (if you're after such a thing, the NCP website might be a better place to look). 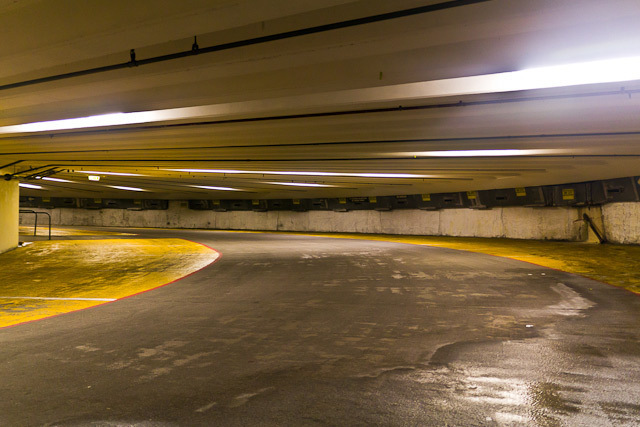 Although our list isn't in any particular order, it's hard to argue that this car park, just north of Oxford Street, isn't the most beautiful in London. 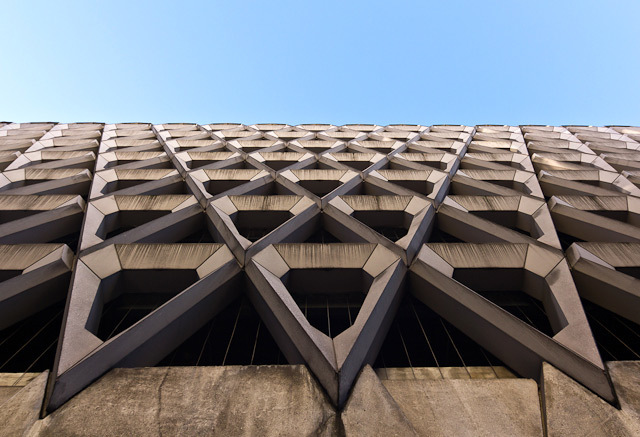 Built in 1970 as a dedicated car park for Debenhams, the external structure is formed of tessellated concrete polygons that interlock to present a beautiful geometric façade. The building itself has had a renaissance in recent years, after the restaurant Meatliquor opened in the ground floor unit in 2011; queues round the block are the norm, but diners at least have something awe-inspiring to gaze upon while they wait. From the sublime, to the....well, if not quite ridiculous, then at least the highly ambitious. 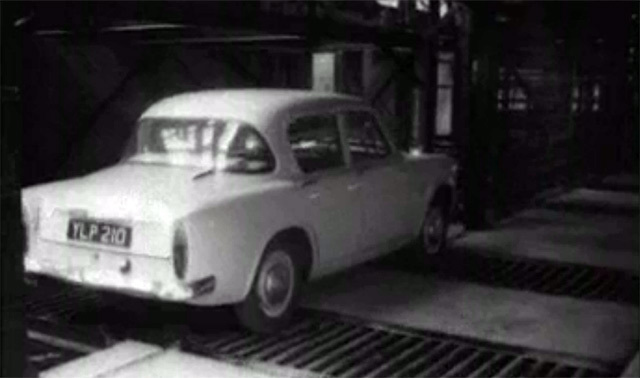 In the early 1960s the "world's first fully automatic car park", as this short film bombastically enthused, was built near Southwark Bridge in the City of London. The Zidpark, as it was known, promised to make difficult parking a thing of the past. It did no such thing, of course, and operated for barely a day before being closed. In a similarly utopian vein, Woolwich council built the Auto Stacker, another automatic parking system, in 1961. They even brought Princess Margaret out to south-east London to open it; her appearance was captured on film. Unfortunately it broke down on the first day and was rarely used afterwards. When Greenwich borough was formed the following year the new council decided to tear it down, reportedly at a cost not much lower than the bill for its construction. This is perhaps a bit of a cheat, as technically this wasn't a car park — it was a garage for Daimler's fleet of hire cars. But the beautiful Art Deco lines meant we couldn't ignore it. 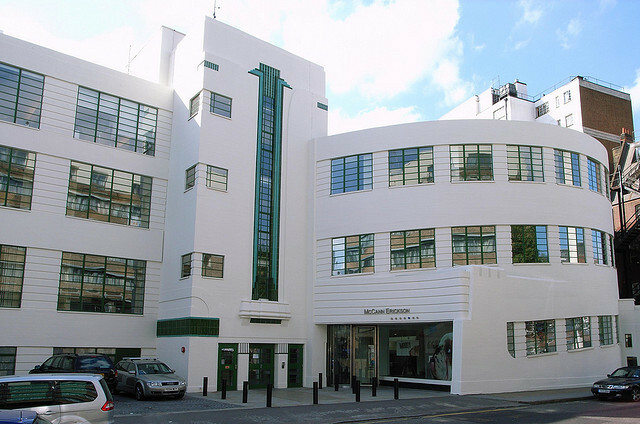 Built in the early 1930s, by Wallis Gilbert and Partners, whose contributions to London include the wonderful Hoover Building on the Western Avenue, the garage is particularly notable for the circular ramps that boldly jut from the façade, instead of being buried within as was normally the case. The building is now the offices of ad agency McCann Erickson. Few who recline on the Bloomsbury Square lawn during summer realise the feat of architectural brilliance that lies beneath them. Namely: a car park inspired by the double-helix structure of DNA. You drive down one strand, and drive back up to the surface. Aptly described by Bryan Appleyard as a "great testament to the beauty and perversity of rationalism", it has a symmetry that must have tricked countless drivers into losing their motors. Opened as the Lex Garage in 1928, this Soho car park, aside from being a fine example of Art Deco architecture, was typical of its era. Its 1,000 bays were double that of any other in the country, and the architects planned to install a golf course on the top floor. Alas, this never came to pass. It also had a cafe (for owner-drivers) and a separate canteen for chauffeurs; rare was the gentleman seen dining with the hired help. 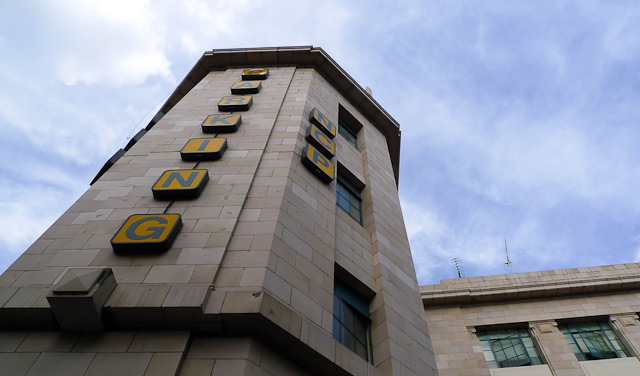 The building has been listed since 2002 and it remains in use as an NCP car park today, though also hosts occasional events, such as a screening of Taxi Driver in 2010. 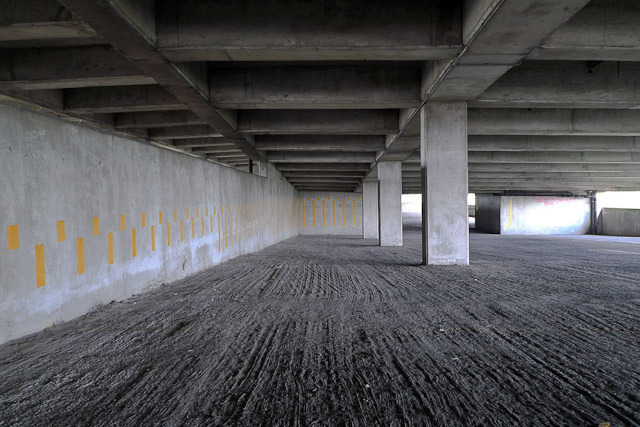 The car park beneath Smithfield is in what used to be the railway sidings, which trains bringing meat to and from the market would use. 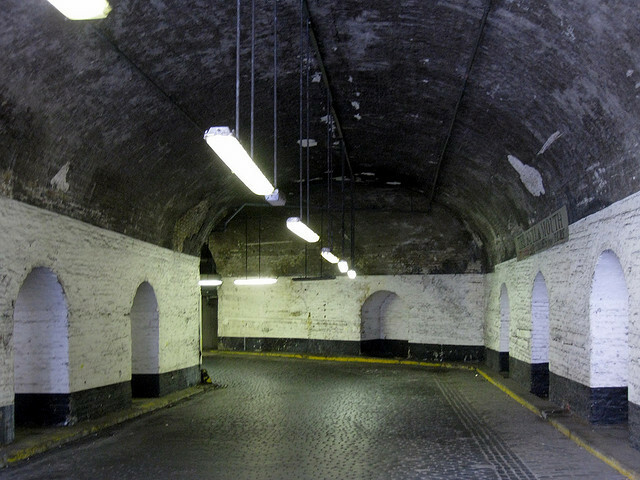 The sidings were closed in the 1960s, and the area is now used primarily as a car park, although anybody who saw the James Bond film Skyfall also knows that the space is the secret lair used by MI6 if their Vauxhall HQ is ever attacked. 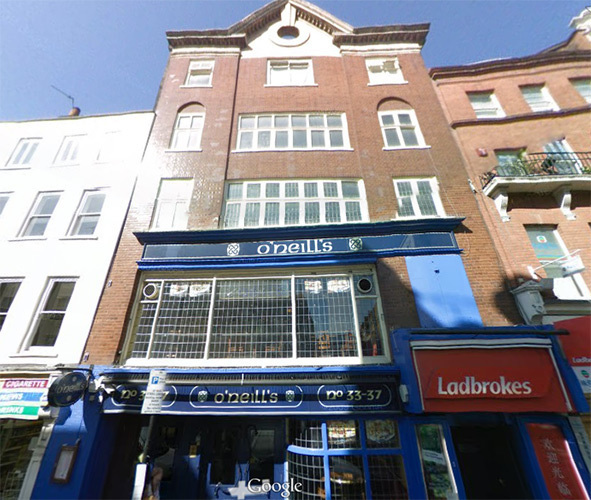 Since 2008 this nondescript car park has played host to Frank's Cafe on the roof (alongside some mostly forgettable artworks). The cafe returns each summer, and has one of the best views from the London skyline from south of the river, alongside a decent drink selection. Plans are afoot to turn it into a permanent arts centre. There's something wonderfully idiosyncratic about this multistorey in the heart of Shoreditch, with its bold white colour scheme, antiquated signage and mechanised lift system. It was one of the few in London owned and operated by the Meyers Brothers Parking System, an American firm whose heyday was between the 1930s and 1960s. This being east London, it also gets used for other purposes, such as a showroom for the BMW Art Car Club in 2012. To be honest there's not really a great deal to be said about this car park at the eponymous market near Vauxhall. But we were quite taken by Tubb's photograph of it, particularly the mysterious light emanating from the fourth floor, so we thought it warranted inclusion.